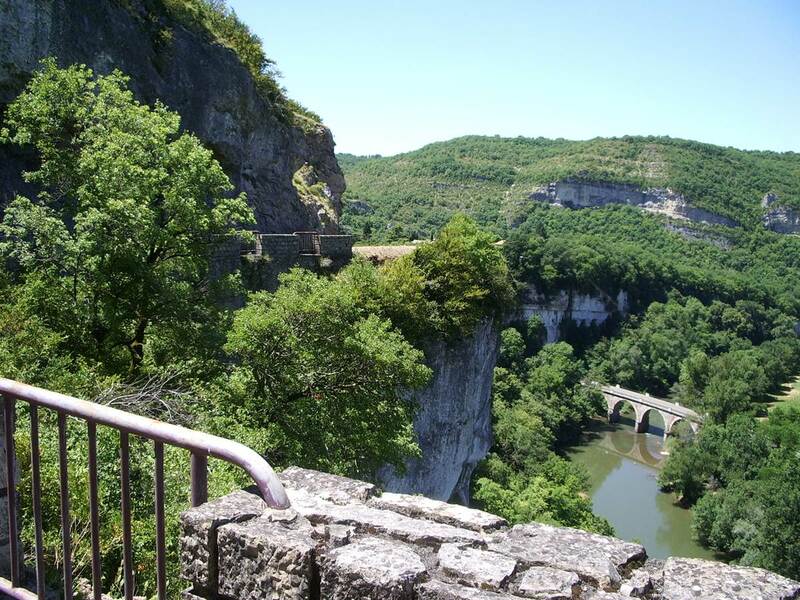 The descent of the Gorges de l'Aveyron is strictly forbidden to anyone who can not swim and to children under 6 years. All minors under 13 years must be accompanied by a parent, beyond parental permission will be requested. A hiring includes the equipment of all the material necessary for the good realization of the service: canoe or kayak, paddle, can, buoyancy aid, as well as the transport for the launching and the return to the starting point. The booking of canoe kayak rentals implies to have read and to adhere without reserve to the general conditions specified below. A rental agreement will be signed by the applicant, hereinafter referred to as "the tenant", before the equipment is made available. Cape Canoe Aveyron / A Water Duck organizes the practice of canoeing in respect of the security guarantees as specified by the prefectural decrees permanent and temporary in force. Major practitioners or their legal representative for minors attest to their ability to swim at least 25 meters and to be able to immerse themselves or present a certificate issued by a qualified authority. In case of bad weather Cap Canoe Aveyron / A Water Duck reserves the right to cancel any service by proceeding to the refund to the customer. The rental of canoes or kayaks is made at least on time with payment at the latest at the time of booking or rental. Canoes are rented for use by up to 3 people (2 adults and one child from 6 to 10 years old). The renter agrees to provide equipment in good condition of navigation found jointly and contradictorily to the removal. The return of the equipment on the place of rental / base of arrival, to know with Cape Canoe Aveyron / A Water Duck will be the responsibility of the tenant who is responsible for this material as soon as it is in his possession, c that is to say, as soon as he has custody of it.Therefore, an inventory contradictory will be made during the restitution between the two parts, namely between the tenant and the renter. The materials and equipment comply with the regulations in force and must be well maintained. Practitioners are individually equipped with a safety vest meeting the conditions set out in Annex 2 of the Order of 4 May 1995; they must wear the lifejacket closed at all times, as long as the canoe is on the water. The rented equipment is intended for the sole use of the tenant without the possibility of subletting or lending, even for free. Mobile phones, cameras and any other water-resistant equipment or objects must be protected by a suitable cover, the container is just a container and is not a protection. Cape Canoe Aveyron / A Water Duck declines any responsibility in case of deterioration, loss or theft. The degradation whatever the cause will give rise, and in addition to the cost of the lease, to the payment of the costs of replacement and / or restoration in the maximum limit of the value in new condition of the equipment. Failure to return the rented equipment, whatever the reason, will result in the billing to the customer of the full value of this equipment at the public sale price, in addition to the cost of the rental. . The rental invoice is payable no later than the day the equipment is made available. Any extension of rental will be charged on the basis of the tariff / day. Canoes and kayaks are under the responsibility of the tenant. Damage or personal injury or property caused by their use as by that of third parties will not be supported by Cape Canoe Aveyron / A Water Duck. The boats are not insured against theft, so, in case of non-return, the material not returned will be billed according to the posted rate to be paid on the spot. Cape Canoe Aveyron / A Water Duckhas taken out an insurance policy covering its civil liability, that of its agents, practitioners and third parties for damages including Cape Canoe Aveyron / A Water Duck could be held responsible. 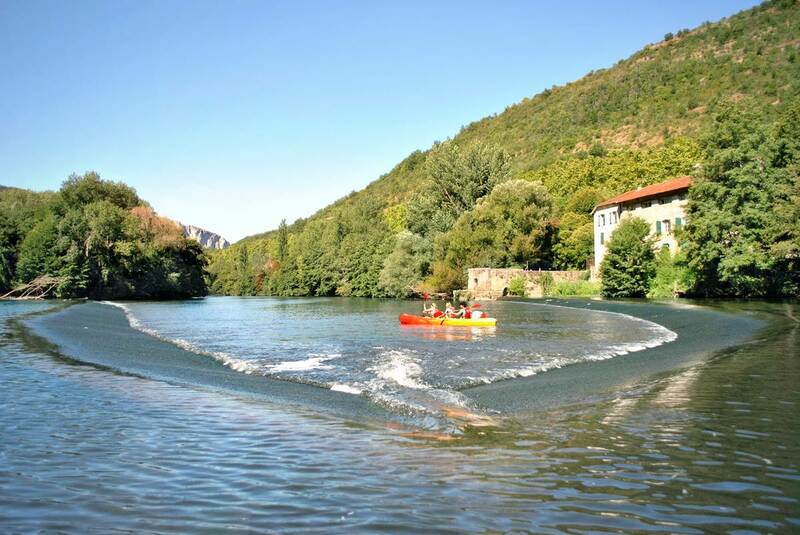 Cape Canoe Aveyron / A Water Duck recommends to the persons renting the equipment to ensure to be covered by an individual liability insurance for the activity practiced. In the presence of fishermen, users, the tenant agrees to go on the opposite bank in the utmost calm. The tenant agrees to respect the fauna and flora. The tenant must check that the passage is free before committing to the rapids and leave a safe distance between the boats. In the event of a change in the height of the water or the particular weather and hydrological conditions of which he is the sole judge, the lessor may without notice refuse the hiring of Canoe Kayak under the only condition of the total refund of the payments already paid. - The rental of equipment is granted for a duration and a number of people per boat specified in the contract. 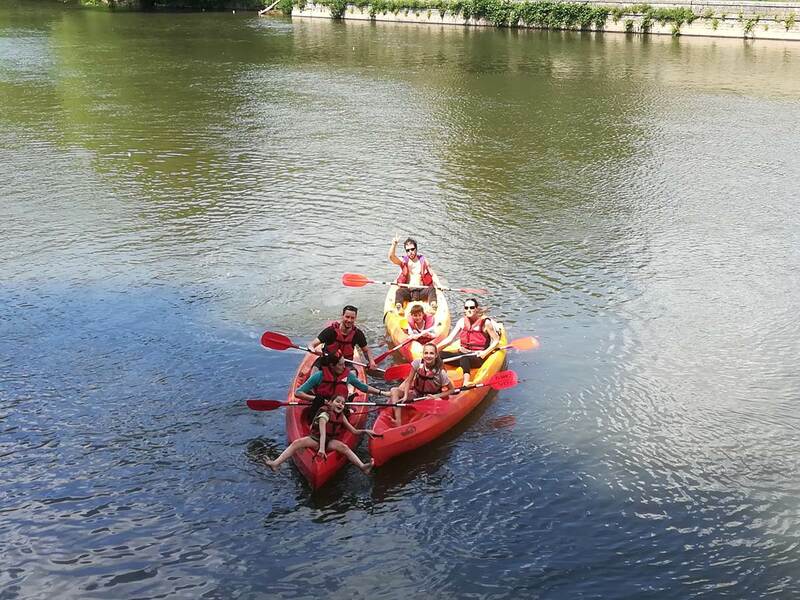 - The use of the rented equipment must remain in the context of a calm river descent of class 1 or maximum 2. - Keep the equipment made available to him in good condition for the duration of the lease so as to make it in the same state as it was entrusted to him. - Commit to paying the damage caused to the equipment in the event of misuse or abnormal deterioration, according to the price estimated by the repair shop of the renter. - To be covered by a civil liability insurance. 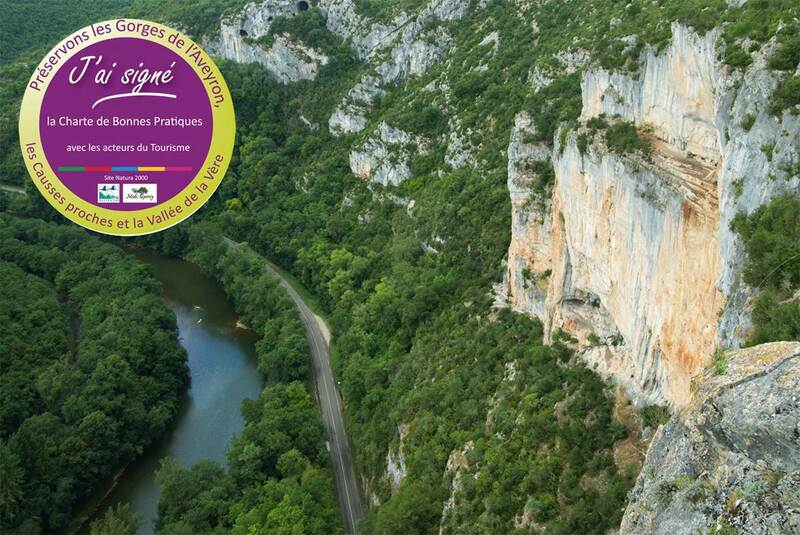 - Make a commitment not to abandon his boat, vests, paddles and containers in the Gorges de l'Aveyron, to commit to pay the lost or abandoned equipment as well as the expenses of research of this material. The lessor declares to be insured in this capacity against the consequences of the civil liability under articles 1147 (contractual liability) and 1382 (tort), 1386 of the Civil Code and 1397 (articles of law annexed to the present regulations). The renter is not responsible for parked vehicles or objects entrusted to him. The renter does not guarantee the impermeability of the containers lent, this being subordinated to the good closure by the users. - Not to rent boats to any minor under the age of 13 unless accompanied by a person of full age. - To be certified on the honor for each participant to know how to swim for 25 meters and be able to immerse themselves (attestation whose model attached). - To inform the tenant of all his obligations described above. - Everyone can swim for 25 meters and be able to immerse themselves. - Each person wears a buoyancy aid and shoes with closed laces or closed straps throughout the navigation period. Vests must be closed. - To restore in their original state to the lessor all the equipment object of the present hiring. - To have subscribed a private liability contract valid on the day of the rental. - To have no physical contraindication to the practice of the activity proposed by Cape Canoe Aveyron / A Water Duck. - To have read the rules of the general conditions of rent made available to him by the renter describing among others, the difficulties and the regulation relative to the course. - To sail with a child under 6 years old or minimum age according to the regulations and the specific local administrative provisions. - To leave his nautical equipment and litter on the course as well as to enter the private properties along the route which access is prohibited. 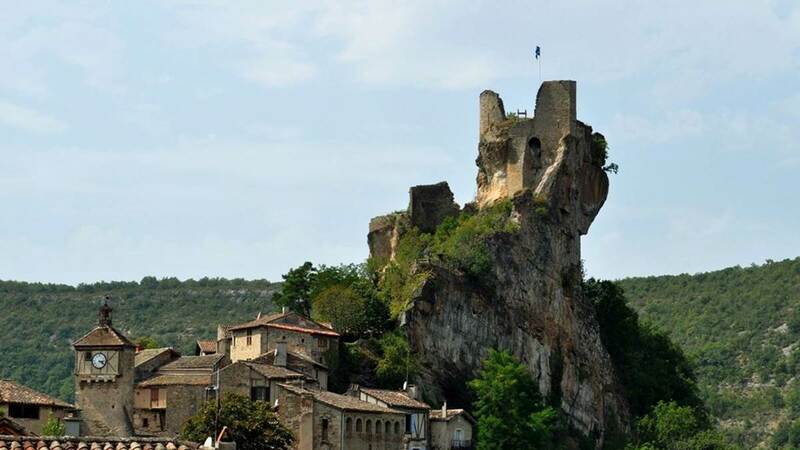 - To reimburse the lessor the amount of equipment lost or having suffered a major deterioration according to the current unit rates posted in the local Cap Canoë Aveyron / A Water Duck. Any abandonment will be invoiced at the price of the equipment rented more the cost of the repatriation benefits of the boat and the people, according to current tariffs displayed in the local of Cap Canoë Aveyron / A the water Duck. The use of equipment by children under 13 years can only be accompanied by an adult or a monitor. The tenant must have knowledge of his technical and physical abilities to carry out the planned courses. The use of a canoe-kayak implies a certain control of navigation. 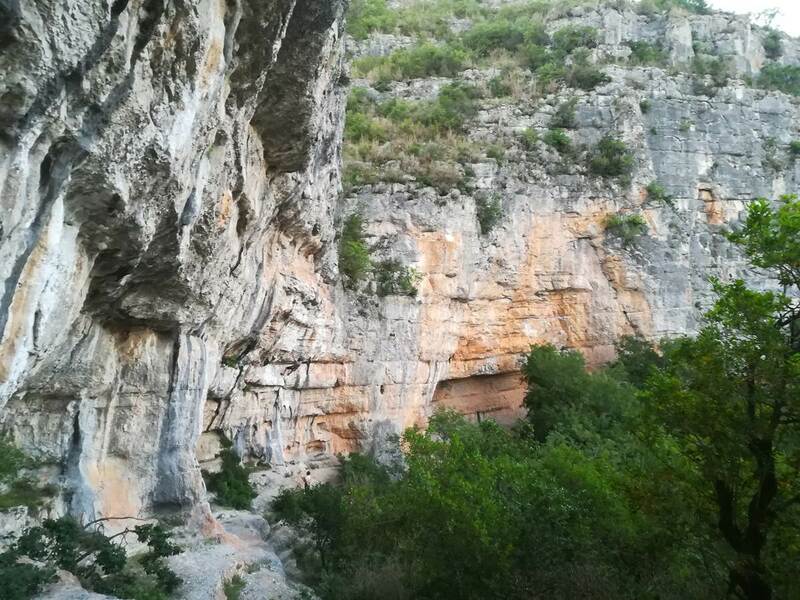 Cape Canoe Aveyron / A The water Duck reserves the right to prohibit the departure on a hike to any client he considers unable to be able to perform the course. 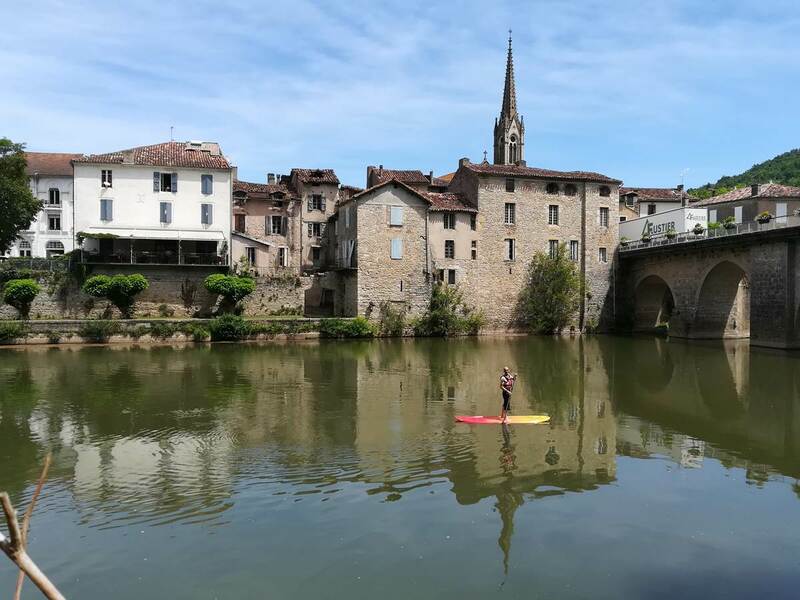 Tenants traveling on non-proposed or private routes will do so at their own risk and will not be covered by insurance Cape Canoe Aveyron / A Water Duck and, consequently, will be considered the only responsible for their actions. In the case of rental for group practice, the obligations contained in this contract are binding only on the signatory. The tenant agrees to inform the members of the said group of the obligations contained in the contract. 5-1 The lessor transports the equipment and the persons in the conditions indicated in the contract. 5-2 The supply of cartographic documents concerning possible and possible nautical routes is indicative. This supply can not exonerate the tenant of the obligation which is incumbent on him to inform himself about the possible regulations, as well as on the difficulties which can be present on the courses and which he plans to carry out. 5-3 The tenant declares to be informed that he / she will be able to be photographed by an independent company of Cape Canoe Aveyron / A Water Duck during its course on the Aveyron. By this contract and pursuant to Article 9 of the Civil Code, the tenant authorizesCap Canoe Aveyron / A Water Duck to fix, reproduce and represent its image for promotional purposes only for the needs of Cape Canoe Aveyron / A Water Duck, and this, on all digital media or not, in unlimited number, for worldwide operation and for a period of 5 years from the signing of this contract. The Tenant may also, subject to having informed the Lessor by mail or email received at least the day before the scheduled rental date before 18:00 change the rental date (subject to availability) or request a credit of the same amount usable for 1 year. For any cancellation, it will be cashed the sum of € 5.00 per person for handling fees. For late bookings made by phone and without deposit, the equipment will be immobilized beyond the agreed time. 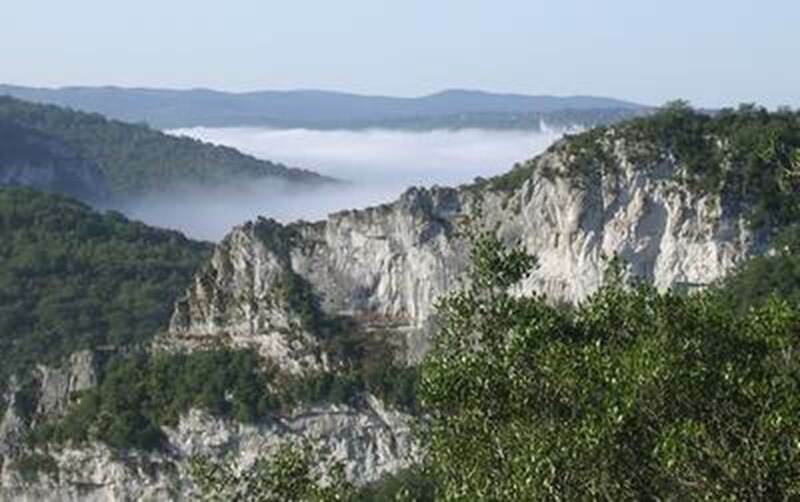 For groups, the reservation becomes effective upon receipt by Cape Canoe Aveyron / A Water Duck a deposit payment by check, cash or a payment by credit card. In case of bad weather or various events that may hinder the practice of the activity of Cape Canoe Aveyron / A Water Duck the latter reserves as has been specified above the right to cancel and propose a postponement of reservation, which may be considered subject to availability later in the current season. The payment of the entire service must be paid at the latest on boarding. 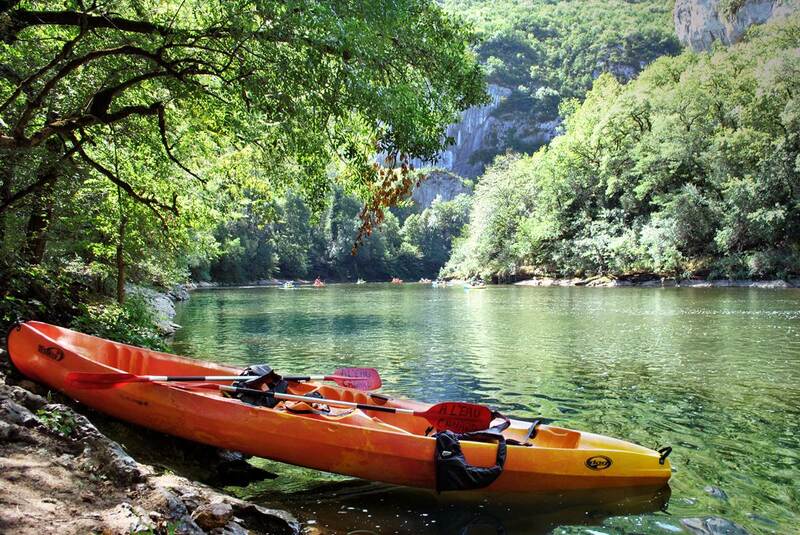 The reservation of the equipment with Cape Canoe Aveyron / A Water Duck implies to have acquainted with the general conditions of hiring above and to accept without reserve all the clauses. In the event of difficulties or disputes between the parties in connection with the interpretation, execution or termination of these presents, the parties agree to seek an amicable solution. In the event of persistent disagreement, any dispute or dispute that may arise between the parties in connection with its interpretation or execution will be within the jurisdiction of the commercial court, or the jurisdiction of the place where it remained at the time of the conclusion. contract, which will enforce French law. The tenant must respect the schedule of appointments following the course chosen. In case of non-compliance with these schedules, the renter reserves the right to modify or cancel the initial service.